Maibam Maimu is a veteran singer who needs no introduction. Most of his lines are romantic evoking the hearts of many youths. His evergreen lines – Loibi Chanura Oibi Nangbu Kaongamdareko Eigi Thamoina is still popular to most of the people particularly the Radio Matam Eeshei listeners as the song continues to be a hit even today. The magnificent voice of Maibam Maimu was hailed as different from other Manipuri singers in the genre of ‘Manipuri Adhunik’, now more commonly termed as ‘matam eeshei’. 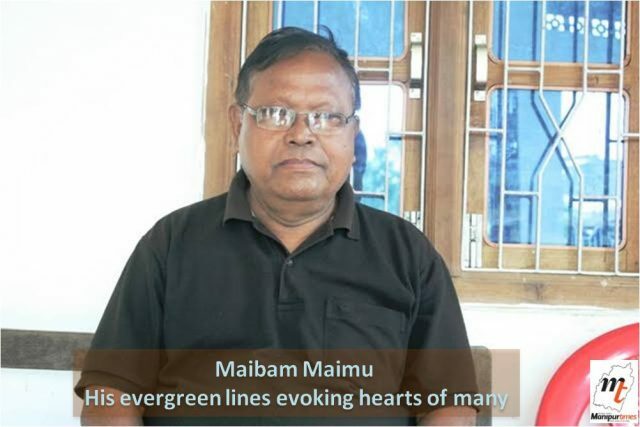 Maibam Maimu, one of the prominent veteran singers started, his journey from his early life along with his passion and love of music and singing. He started singing in school and colleges and participated in Inter College and University Youth Festival competitions held from time to time. Born on May 3, 1945 to Late Maibam Ibungo and Maibam Ongbi Nganbi Devi of Khurai Soibam Leikai Meri Leirak as the fifth son among ten siblings, Veteran singer Maibam Maimu had a strong passion for singing since his childhood days. His father Maibam Ibungo, a Nat Sankritana singer by profession, was the main inspiration behind his singing career. For many years, Maimu spent his life looking after their paddy field at Sambei village where he did his early schooling at Taibang Chingkhu Government school. After passing class V, he continued his study at Ananda Singh Higher Secondary School and passed matriculation from the same school in 1970. Later on, he completed BA second year from DM College and second year from Government Music College. Compelled by his great passion for singing, he started singing right from his school days, took part in many song competitions. Maimu also became the Social and Music Secretary of DM College Students’ Union and did many commendable works for the students. Initially, his elder brother did not like him to be a singer stating that singing career would not be helpful in leading a comfortable life. 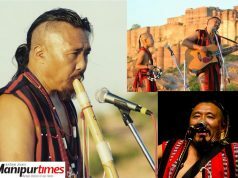 However, Maimu defied his brother’s strictures and learnt music silently. 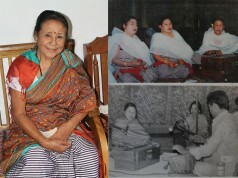 Some songs of veteran singer Maimu are still popular, unforgettable and highly acclaimed for its aesthetic quality. Lounambini Khangna Khangna Thajarure mabu Eina penned by Keisham Jaminikanta, Loibi Chanura Oibi Nangbu Kaongamdareko Eigi Thamoina, Thambire Eibu Idom Tarakna, Korougi Mangalna Youngamdraba penned by Thangjam Kora, Lounam Touduna Thamoibu Huduna Hana yenglamdana Chatpadi, Kumja Kayagi Mamangdagi Nungshi Nangbu Ngaijaba penned by Gurumayum Chaobisana Sharma, Eigi Nungshi Lambida Mabu Amuk Uraroi, Nungshibana Haibani Ningamdraba Yawase by Ulen Meetei, Nangna Pukhri Mapanda Chenghi Shambal Langlingei, Tamlaba Lamdamduda Thengnakhibani Maga Eiga penned by Chanam Kunjo, Ningshinglamkhigani Nangsu Eibu Ahingdo, Nangi Eigi Nungshiba Khangani Kanana penned by Prithi Meetei are some of the popular songs of Maimu still evoke the heart of many music lovers. He sang more than 200 songs in his life time. Being an approved Singer of All India Radio, Imphal since 1969, he has been singing for AIR programme ‘Tha asigi Ishei’. Among the popular songs he presented in the AIR prgramme ‘Tha asigi Ishei’, Hiyangeina Lakpada Chatkhini Mengna Mera Tha penned by Chanam Kunjo can be mentioned. 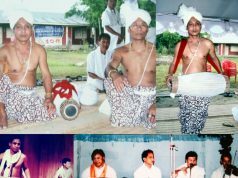 He became a singer of Sangit Mandal, Imphal, a life member of Apunba Manipuri Matam Ishei Kanglup (AMMIK). 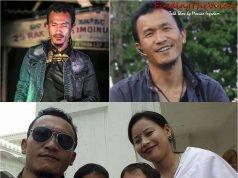 In his early days, Maimu founded a Music band ‘Crazy boy’ and visited many places including Cashar to give performance there under the Music Band. 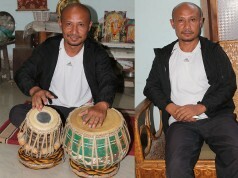 He toured many villages in Manipur for music concerts and other religious occasions like Swasti puja. 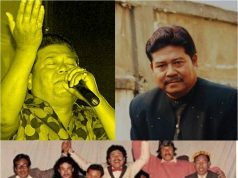 Shamurailaptam Mema, Sushilla, Tombisana, Oja Jaminikanta, Sanaton, Tiken, Bishwarup, Aem Amarjit, Chandrakumar are his contemporary singers. Despite his elderly age, Maimu’s passion for singing is not withered with the swift changing of time. Presently, he is singing Nata Sankritana in many occasions. 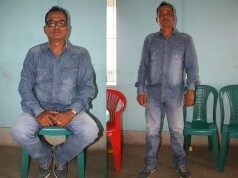 He joined Imphal Municipal Council as Field Assistant and retired as Assistant Revenue Inspector on superannuation in February this year. Mamu married with Tamphamani and is blessed with four kids now. 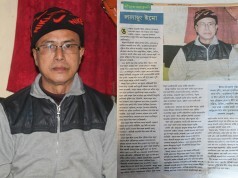 Lamenting that the budding young singers are lacking in discipline and morality nowadays, he said, almost growing young singers in the state fail to pay much respect to the veteran singers who have retired from the career. An Artiste should be modest, humble. He, however, expressed his happiness over coming out of many singers in the state. 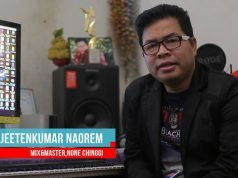 Regarding the current trend in composing a song, Maimu said, in early days a lyricist, while writing either a romantic or a patriotic song, did not express directly what he feels in his mind but used to express it symbolically by indirectly referring to natural things with aesthetic rhetorical words. Nowadays, lyricists directly express what they feel without a brake leading to socially unacceptable as well as reducing the aesthetic quality of music. Budding Lyricists need to write songs with care and avoid direct expression sans metaphorical words. Such changing trend in style of composing a song reducing the artistic taste of music should be avoided, he opined. Maimu regrets that he could not pursue higher studies in music due to financial constraint in the family.